I was fascinated by dance when I was very young, and after my first lesson I said to my mother, “This is what I want to do!” From that moment on it has been my life. I have had problems with my sight throughout my career, though it has never been total blindness. I found ways to dance so that audiences were not aware of it… I didn’t want their sympathy. I had the first operation on my eyes in 1941. It was for a detached retina. Ophthalmology has made huge progresses since then. But how can I complain about my career? Some have even said that it was by virtue of my visual impairment that I developed some aspects of my technique… to compensate. Certainly, the expression I lent to the second act of Giselle impressed Anton Dolin so much that he wanted me to teach young ballerinas. I haven’t had to renounce anything because of my sight. I have never lacked a combative spirit. In 1959, we had no economic or moral support from the state, and it was the revolution which gave us everything. After that, the rest was in our hands. Fidel Castro was an immense leader who continues to be a presence in the lives of Cubans with his example of patriotism and dignity. 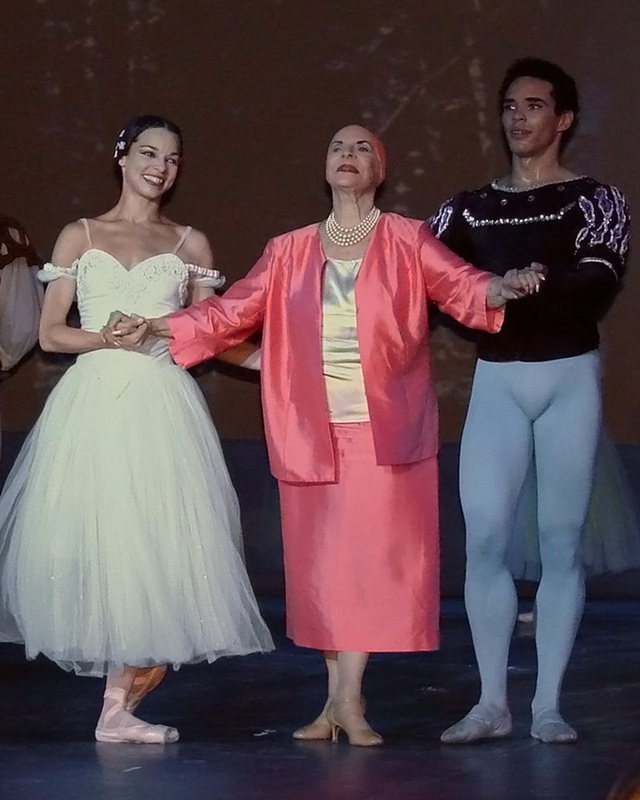 A famous Cuban writer once said that our Cuban Ballet was a democratic strength that never tired. We had children of factory workers and farmers in our ranks. In our dancers, tradition thrives with a Latin soul… sensual and musical. Now that I’m no longer on stage, I continue to dance through my dancers. Some wish to give back to the company, others less so, but they are all proud of their roots. I arrived in America at the end of the 1930s, in an era when there were exciting changes in ballet. 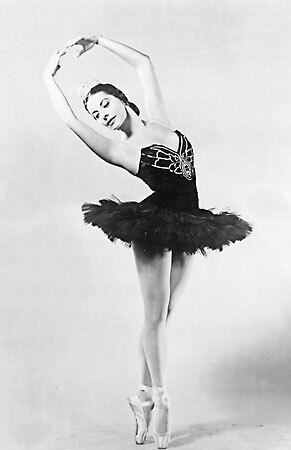 I first worked in the chorus of a Broadway musical, then joined Balanchine’s American Ballet Caravan, and later, the American Ballet Theatre working with Fokine, Massine, Tudor, de Mille. I am grateful for that experience which I then took back to Cuba. I’m hoping that Trump’s recent declaration is just a small setback, and that it will be overcome thanks to Cuba’s common sense to not depend on any American government. I believe that my dancing is the most eloquent testament that I shall leave, though there is also the Ballet Nacional de Cuba and its school. And as long as I’m alive, I shall be its artistic conscience.